Significant quality challenges persist in antipsychotic medication use for children in foster care and other Medicaid-insured children, according to a new Rutgers University-New Brunswick study published in Health Affairs. Overall prescribing rates for children in foster care and other Medicaid-insured children have leveled off since a period of rapid growth in the early and mid-2000s. However, guideline-recommended practices such as use of nonpharmacological mental health services as first-line treatment, and monitoring of blood sugar and cholesterol for metabolic side effects of the medication, are frequently not followed, the research found. Children in foster care, whose treatment receives closer oversight than other Medicaid children, were more likely than others to receive these guideline-recommended practices, said lead author Stephen Crystal, board of governors professor and associate director for health services research at Rutgers’ Institute for Health, Health Care Policy and Aging Research. However, among children treated with antipsychotics, more than one-third of foster children, and more than two-thirds of other Medicaid children, failed to receive psychosocial mental health interventions during the three months preceding and the month following the start of antipsychotic treatment, he observed. “Only 28 percent of foster children, and 18 percent of other children, received metabolic monitoring for both blood glucose and serum cholesterol,” Crystal said, adding that children in foster care continue to receive antipsychotic treatment at much higher rates than other Medicaid-insured children (8.92 percent versus 1.51 percent among 0-17-year-olds in 2010). In their article, “Rapid Growth of Antipsychotic Prescriptions for Children Who Are Publicly Insured, But Concerns Remain,” the authors found that antipsychotic medication use peaked in 2008 among Medicaid children and 2009 among privately insured children, but levels have not returned to the pre-2000 rates. The study used national and state-level Medicaid data, in addition to data from private health insurance. Co-authors on the paper included Thomas Mackie, Miriam Fenton, Shahla Amin, Sheree Neese-Todd, Mark Olfson and Scott Bilder. One of his team’s key findings was the need to continue to address antipsychotic use among children in foster care, Crystal noted. “Levels of use of antipsychotics among children in foster care were almost six times higher than in nonfoster care children in 2010. The state serves in loco parentis (“in place of the parent”) for these children. Therefore, we have additional responsibility to ensure they are receiving the most appropriate treatment,” he said. The study found that antipsychotics continue to be prescribed for mental disorders not indicated by the Food and Drug Administration, particularly among children in foster care. For example, in 2010, 34 percent of antipsychotic prescriptions among foster care children were for Attention Deficit Hyperactivity Disorder (ADHD), anxiety or depression, compared to 18 percent among children not in foster care. “Doctors should consider other first-line treatments for children with these diagnoses,” Crystal said. An encouraging finding from the study is that higher rates of psychosocial interventions and metabolic monitoring have been achieved for children in foster care than for other Medicaid-insured children. “While these findings do suggest more careful monitoring of children in foster care who are prescribed antipsychotic medication, challenges remain in increasing safety monitoring and access to psychosocial treatment,” Crystal said. The study identifies several promising developments that have the potential to be important tools in improving prescribing quality for antipsychotics and other psychotropic drugs for children. These include the development in specialized managed care plans for children in foster care and new national quality measures for safe and judicious prescription of antipsychotic medication. “Progress in a number of states that have implemented programs for oversight and quality improvement in children’s psychotropic medication use is encouraging,” said Crystal. “However, persistently high rates of antipsychotic treatment, particularly among foster children, alongside gaps in metabolic monitoring, over-reliance on use of multiple concurrent antipsychotic medications and underuse of psychosocial interventions, underscore enduring behavioral health care challenges. 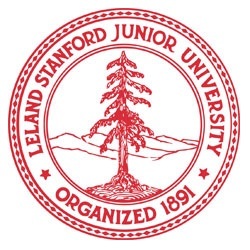 “State and federal health care policymakers have opportunities to promote meaningful improvements that bear directly on the symptoms, social function and quality of life of foster children with mental health problems, by seizing opportunities such as emerging managed care models and new treatment guidelines,” he concluded. In a first demonstration of the power of really big data, bioinformatician Nigam Shah, MBBS, PhD, and an international team asked some simple questions about health using the electronic medical records of 250 million patients. The team — a multi-institution collaboration called the Observational Health Data Sciences and Informatics program, which is centered at Columbia University — came up with surprising results and likely set a record for studying the largest medical dataset ever. The current 250-million-patient, four-country study, publishing today in PNAS [Proceedings of the National Academy of Sciences], combined data from 11 sites, including the Stanford Translational Research Integrated Database Environment (2 million patients), Columbia University Medical Center (4 million patients), MarketScan Commercial Claims and Encounters (119 million patients) and General Electric Centricity (33 million patients). The researchers directed each of the 11 sites to pull out the treatment protocols — the ordered sequence of medications a patient was prescribed — for each patient diagnosed with hypertension, Type 2 diabetes and depression so they could map the different ways patients were being treated. Amazingly, 24 percent of hypertension patients received a sequence of medications that was unique. That is, thousands of patients were given a combination of medications received by no other patient. When I asked Shah, “How is that even possible?” he answered, “There are that many different kinds of drugs!” He was quick to add that differences in the order in which drugs were prescribed helped drive up the number of unique treatments. Still, exactly why so many hypertension patients received seemingly idiosyncratic treatment is not yet clear. The high figure might indicate a lack of agreement on the most effective treatment. Among the diabetes and depression patients, only 10 percent of patients received unique treatments. 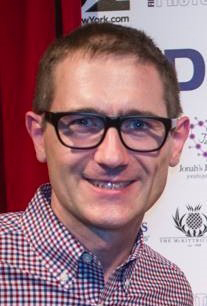 Since 2010, Ryan, an adjunct assistant professor at Columbia and director of epidemiology at Janssen R&D, and others have refined the common data model to the point where the team can now rapidly write computer code to querying data from hundreds of millions of patient records, Shah said. In their next study, Shah and the OHDSI team will examine which treatments resulted in the best outcomes for patients. And this time they hope to be looking at the full set of 650 million patient records available in the common data model. Assembling the data in the electronic health records of virtually everyone in the world, the researchers write, is now technically feasible. The report on the advance by Lerner and his colleagues was selected as a “Hot Paper”* and cover story by the journal Angewandte Chemie. In addition to Lerner and Zhang, co-authors of the paper, Autocrine-Based Selection of Drugs that Target Ion Channels from Combinatorial Venom Peptide Libraries, were Mingjuan Du, Xiao Liu, Jingying Sun, Wei Wang and Xiu Xin of ShanghaiTech University; Lourival D. Possani of the National Autonomous University of Mexico, who purified the scorpion toxin CllTx1 for analysis; and Jia Xie and Kyungmoo Yea of TSRI. 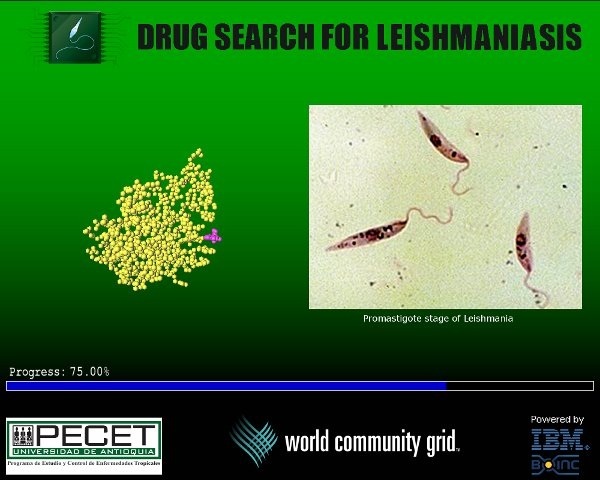 The emergence of the first strain of bacteria resistant to colistin is causing alarm among health professionals. Bill Condie reports. A patient has become the first in the US with an infection resistant to colistin – the antibiotic of last resort used to treat infections that have not responded to anything else. The so-called “superbug” is a strain of E. coli that could be the harbinger of pathogens resistant to all treatment. 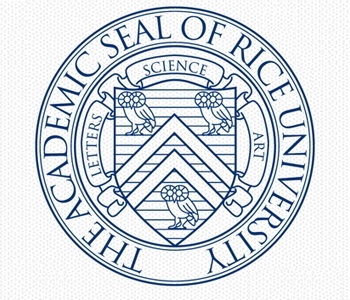 The case – a urinary tract infection of a 49-year-old Pennsylvania woman – was reported* in Antimicrobial Agents and Chemotherapy, a publication of the American Society for Microbiology. 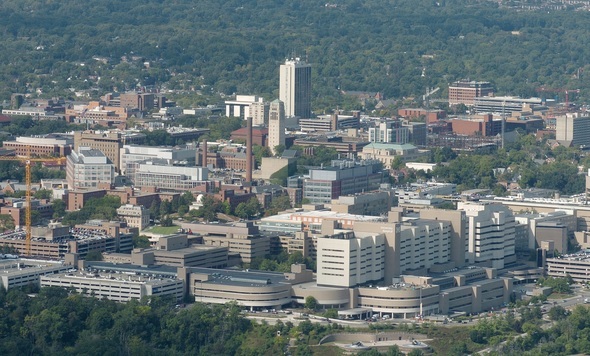 The study by the Walter Reed National Military Medical Center has alarmed health officials. “We risk being in a post-antibiotic world,” Thomas Frieden, director of the US Centers for Disease Control and Prevention, told Reuters. The study explains that the superbug itself had first been infected with a tiny piece of DNA called a plasmid, which passed along a gene called mcr-1 that confers resistance to colistin. “This heralds the emergence of truly pan-drug resistant bacteria,” said the study. The mcr-1 gene was found last year in people and pigs in China and doctors are worried about the potential for the superbug to spread from animals to people. “It is dangerous and we would assume it can be spread quickly, even in a hospital environment if it is not well contained,” Gail Cassell, a microbiologist and senior lecturer at Harvard Medical School, told Reuters. Experts have warned of this potential problem since the 1990s thanks, in part, to the overprescribing of antibiotics and their extensive use in food livestock. In 1948, an American biochemist, Thomas H. Jukes, discovered that the addition of a cheap antibiotic to the diet of chickens made them gain weight much faster than normal. His company, Lederle, lost no time in rolling out the product as an agricultural supplement, effectively setting in train a vast uncontrolled experiment to transform the food chain. Now, nearly 70 years later, about 80% of antibiotic sales in the US go to livestock production rather than to human health care, despite the mounting evidence that drug resistance spills over from livestock to people. To read more about how this came about and the risks it poses, see How did antibiotics become part of the food chain? Some of the biggest effects of multi drug resistance are being felt by patients with tuberculosis. The problem is particularly acute in countries such as South Africa, where patients carrying drug-resistant TB strains are routinely returned to their communities. TB is the leading cause of death in South Africa thanks to the large number of people co-infected with HIV. For Extreme Drug Resistant TB, cure rates are now just 20% nationally. The paper, published in the journal Biofabrication, is titled Pharmacokinetic profile that reduces nephrotoxicity of gentamicin in a perfused kidney-on-a-chip. 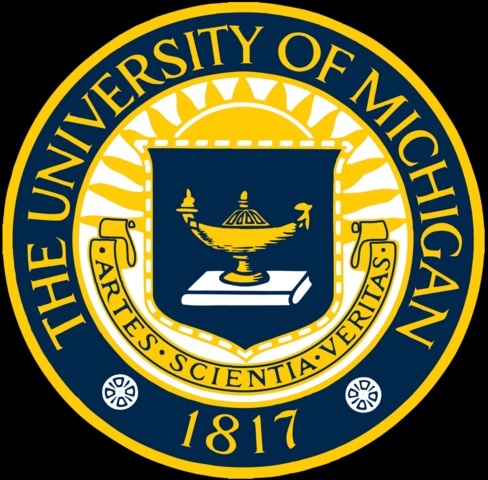 Funding and assistance for the project was provided by the National Institutes of Health (grant number GM096040), the University of Michigan Center for Integrative Research in Critical Care (MCIRCC), the University of Michigan Biointerfaces Institute, the National Research Foundation of Korea and the Korean Association of Internal Medicine Research Grant 2015. The old and the new: a conventional pacemaker, left, and the Medtronic Micra are displayed by UW Medicine electrophysiologists Jordan Prutkin and Kristen Patton. The world’s smallest pacemaker will debut soon at UW Medical Center – one of two Washington state hospitals that will offer the device for the next several months. Drs. Jordan Prutkin and Kristen Patton, cardiac electrophysiologists with the UW Medicine Regional Heart Center, received final training this week from representatives of Medtronic, the manufacturer of the device, named Micra. About as tall and wide as a AAA battery, the device is threaded up through the femoral vein to the heart, where it is attached to the right ventricle to deliver impuses when a patient’s heartbeat is too slow. The unit’s direct placement takes advantage of another advance: Its battery is inside, so there are no wires connected to a separate power source. For decades, pacemakers have comprised a generator, usually implanted under the skin in the patient’s left chest, and leads, which carry impulses from the generator into the heart. The wires are these devices’ main vulnerability, wearing out over time and heightening risk of infections. Removing broken leads years after implant can be problematic because they often have become enmeshed within the tissue of blood vessels. “That’s why this miniature technology is so important and transformative – because it really does reduce risks associated with these devices,” Patton said. On April 6, the U.S. Food and Drug Administration approved the Micra for patients with slow or irregular heart rhythms. The FDA based its decision on a clinical trial of 719 patients implanted with the device. In the study, 98 percent of patients experienced adequate heart pacing and fewer than 7 percent had complications such as blood clots, heart injury and device dislocation. The Micra will have limited applicability, at least initially, because it paces only one chamber. About 75 percent of conventional pacemakers pace at least two of the heart’s chambers. “This is good for people who only need pacing in the ventricle because they have atrial fibrillation in the top chamber, and for people who only need pacing a small percentage of the time,” Prutkin said. Similar to other single-chamber devices on the market, the Micra’s battery is projected to last 10 to 14 years, depending on how much pacing a patient requires. At the Micra training, Patton said, she heard something that she hadn’t expected. “We hear from patients all the time, wondering whether they should move less to protect against lead fracture. Patients ask, ‘What if I wear a backpack? Can I still do pushups or play golf?’ This device seems to be a positive step in that way,” Patton said. Prutkin sees this device as the beginning of the next generation of pacemakers. The device also will be available at Sacred Heart Medical Center in Spokane. Damage to blood vessels in eyes, kidneys and nerve cells may cause two-fold increased risk of heart attack or stroke in people with type 2 diabetes. Individuals with diabetes are susceptible to damage to small blood vessels in the eyes, kidneys and nerve cells that can, in turn, lead to blindness, kidney failure and leg amputation. In 2004, routine screening for this damage, known as microvascular disease, was introduced in the UK. The team, which included scientists from Imperial College London, St George’s, University of London, and St George’s University Hospitals NHS Foundation Trust, looked at data for 49,027 individuals with type 2 diabetes in the UK. They used this data to assess whether screening information on microvascular disease could also predict damage to the large blood vessels that causes heart attacks and stroke (cardiovascular disease). The researchers found any single sign of microvascular disease resulted in around a 30% increased risk of cardiovascular disease. Risk increased with each additional factor present such that the risk was increased two fold when all three were present. Researchers found that damage to small blood vessels in the eyes, kidneys and nerve cells were at least as strong an indication of the likelihood of later cardiovascular disease as many conventionally accepted risk factors – such as high blood pressure and cholesterol. The data, published* in the journal Lancet Diabetes, suggests that continuing the screening programme for microvascular disease in GP practices is needed. Not only does this predict the risk of blindness, kidney failure and leg amputations, but it also provides a clear indication of whether an individual is likely to go on to develop cardiovascular disease. In the UK, NICE guidelines recommend that any individual who is 10% or more likely to experience cardiovascular disease in the next 10-years should be offered a statin prescription with the aim of preventing future heart attacks and strokes. When data on microvascular disease is included in the assessment of an individual patient’s risk of cardiovascular disease, an extra 135,000 people in the UK could be offered a statin prescription appropriately as their risk would cross this predicted threshold. Furthermore, 200,000 individuals would fall below the threshold for statin treatment and consequently these lower risk groups would not be offered a statin. The team argues this may mean earlier treatment for patients at higher risk of developing cardiovascular disease – in particular younger patients and women, who often are believed to be at low risk on the basis of age and gender. There are also potential cost benefits to the health service, by preventing more cardiovascular disease in higher risk patients. In addition to this, there would be fewer statin prescriptions – and so potentially fewer side effects – in low risk individuals. Co-Lead author, Jack Brownrigg, of St George’s University, added: “The study has identified a very high risk group of patients with diabetes. The number of people with diabetes in the UK is rising, driven largely by obesity. These results will help us to focus preventive treatments on those patients who are at most risk of developing cardiovascular disease and should reduce the number of people with diabetes who experience a heart disease or stroke”. 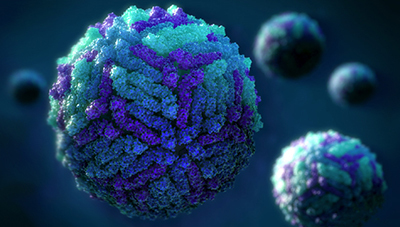 Rutgers is taking a leading role in an IBM-sponsored World Community Grid project that will use supercomputing power to identify potential drug candidates to cure the Zika virus. 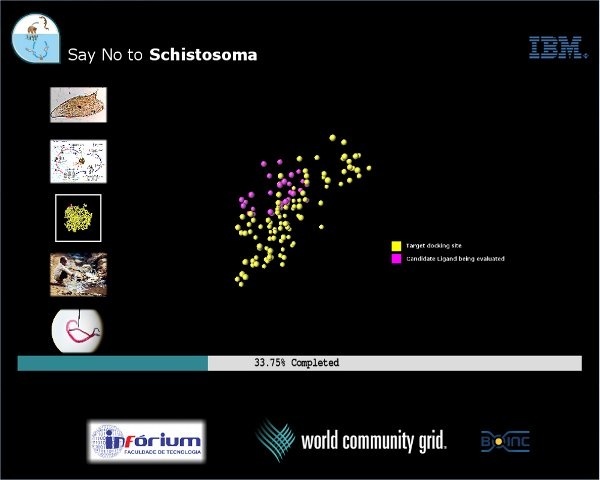 OpenZika co-principal investigator Alex Perryman, researcher at Rutgers’ New Jersey Medical School, also managed the World Community Grid’s first biomedical computing project, FightAIDS@Home, and its Global Online Fight Against Malaria (GO FAM). 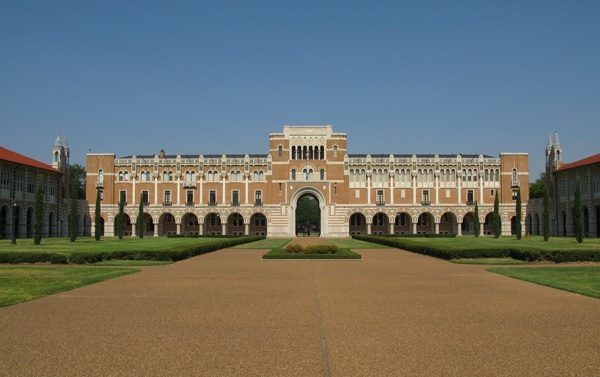 Perryman was selected as co-principal investigator of the OpenZika project, while Freundlich serves as a key consultant. Perryman was selected as co-principal investigator of the OpenZika project, while Freundlich serves as a key consultant. 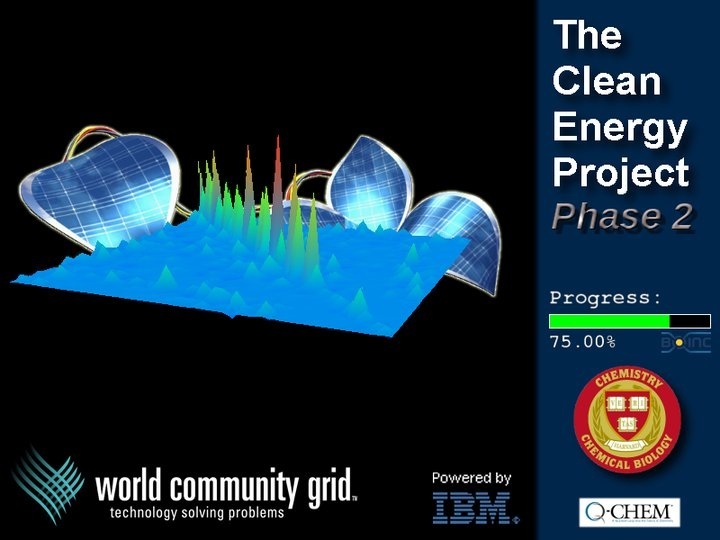 Rutgers’ Perryman has had deep experience working with IBM’s World Community Grid. 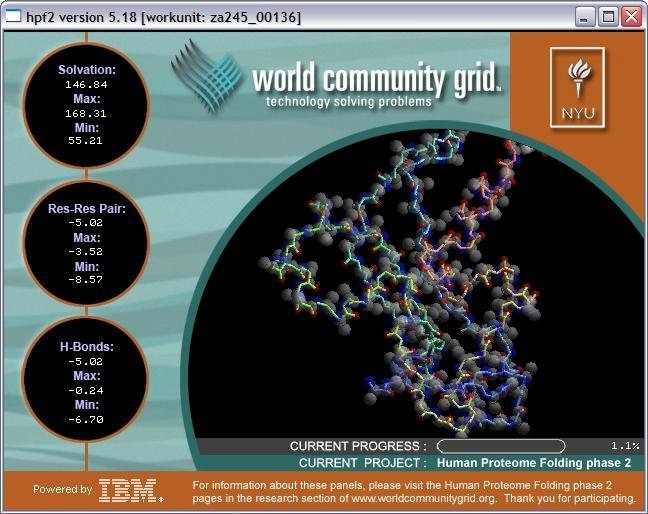 From 2007 to 2013, he managed and performed the day-to-day duties required for FightAIDS@Home, the first biomedical computing project on World Community Grid. 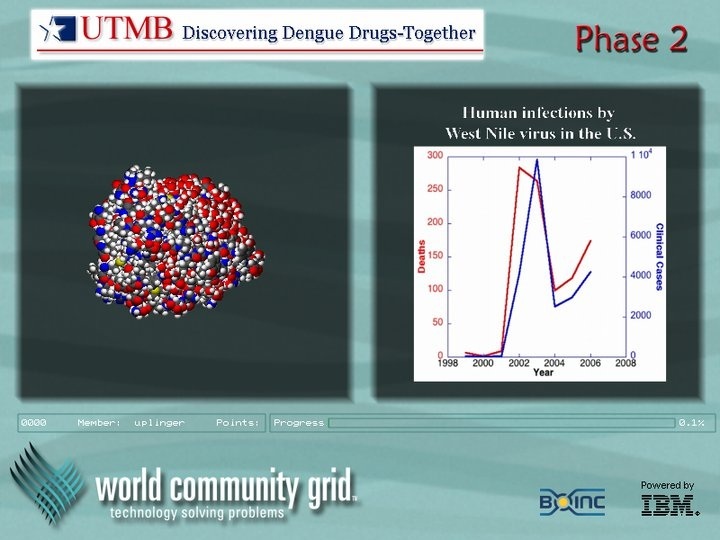 In 2011, Perryman designed, developed and ran the grid’s Global Online Fight Against Malaria (GO FAM) project, which has resulted in identifying promising tool compounds for treating malaria and drug-resistant tuberculosis. 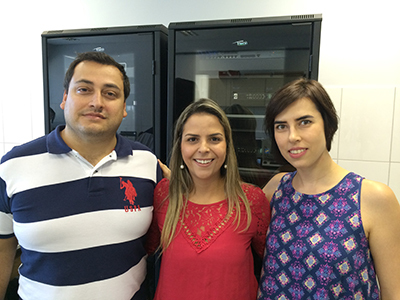 For the OpenZika project IBM is working with an international team of researchers, led by Federal University of Goias in Brazil; with scientists from the Oswaldo Cruz Foundation (Fiocruz) in Brazil; Rutgers University’s New Jersey Medical School (NJMS); and the University of California, San Diego (UCSD). 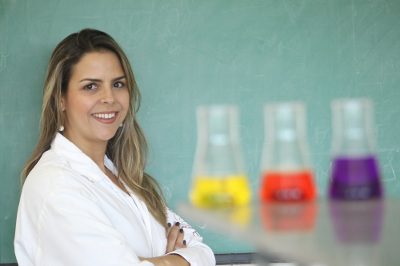 Carolina Horta Andrade, professor at Federal University of Goias, is the principal investigator. Joining Perryman as co-PI is Sean Ekins, CEO, Collaborations Pharmaceuticals. 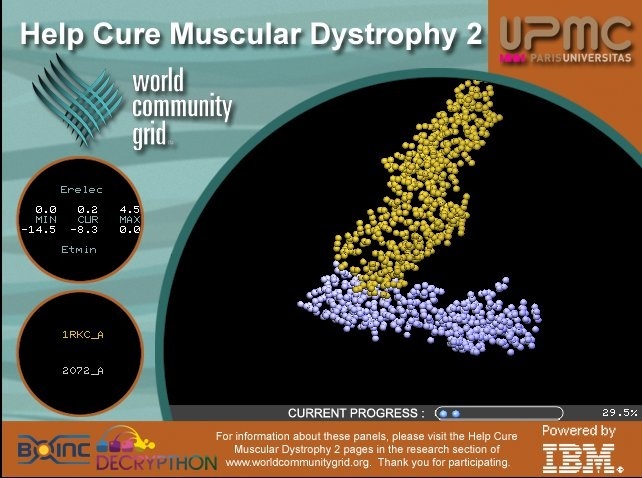 Volunteers can support the OpenZika search for a cure by joining World Community Grid. 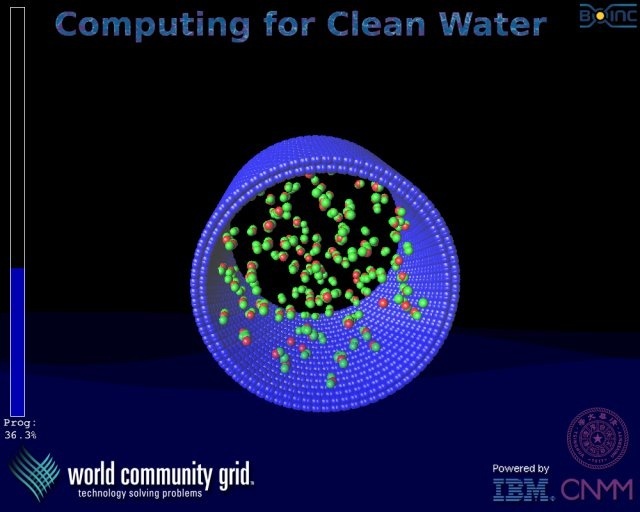 IBM also invites researchers to submit research project proposals to receive this free resource. For more information about IBM’s philanthropic efforts, visit http://www.citizenIBM.com or follow @CitizenIBM on Twitter. 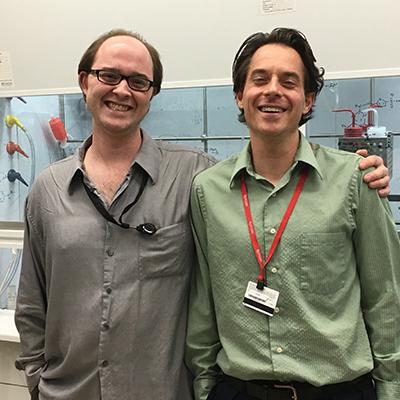 Sean invited me and other collaborators to write a perspective paper that was published*in the beginning of 2016, about the need for open drug discovery for the Zika virus. This work grabbed the attention of scientific illustrator John Liebler, who wanted to produce a picture of the complete Zika virion. We are using the illustration he created (shown below) as a visual for the OpenZika project. Image copyright John Liebler, http://www.ArtoftheCell.com. All rights reserved. Used by permission. The OpenZika project on World Community Grid aims to identify drug candidates to treat the Zika virus in people who have been infected. The project will use software to screen millions of chemical compounds against the target proteins that the Zika virus likely uses to survive and spread in the human body, based on what is known from similar diseases such as dengue virus and yellow fever. As science’s knowledge of the Zika virus increases in the coming months and key proteins are identified, the OpenZika team will use the new knowledge to refine our search. Without this research–and other projects that are studying the Zika virus–this disease could become an even bigger threat due to the rapid spread of the virus by mosquitoes, blood and sexual transmission. The link between the Zika virus in pregnant women and severe brain-based disorders in children could impact a generation with larger than usual numbers of members who have serious neurological difficulties. See the full articles here and here.